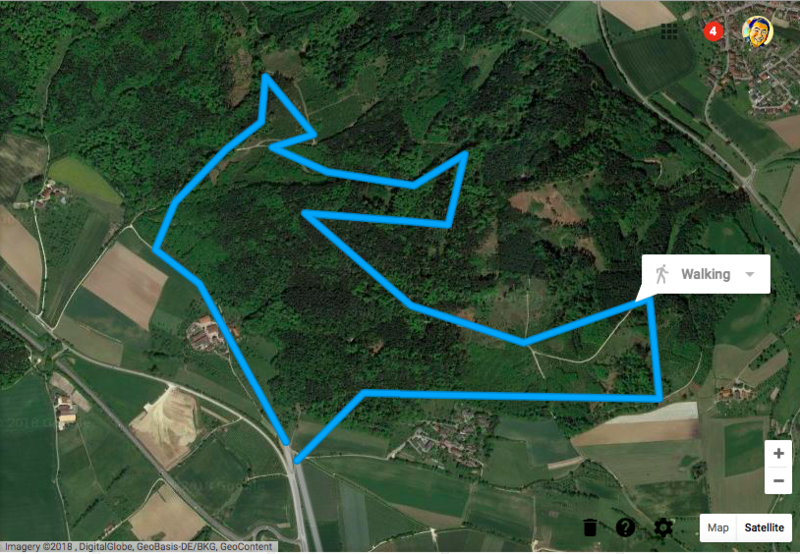 Travel tip: If you come to Buchinger Wilhelmi on Bodensee, make sure you depart before the end of August! 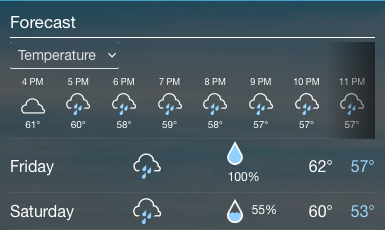 Weather definitely changes quickly here. We went from perfect sunny resort weather to clouds and rain — like Seattle! We’ve got this for the next few days. 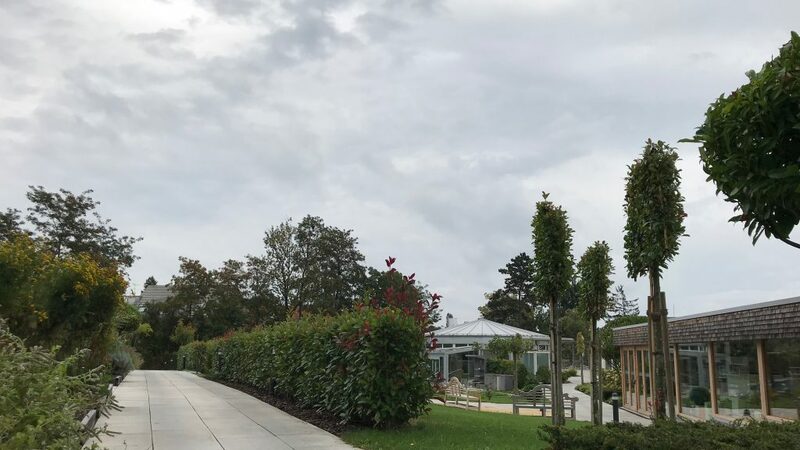 We had a little break from the rain today right now (4pm here), so I took a photo of what this place looks like with cloud cover. Fortunately, our morning walk today stayed on gravel roads to avoid the muddiness of the dirt trails, and we were provided umbrellas to take along with us. 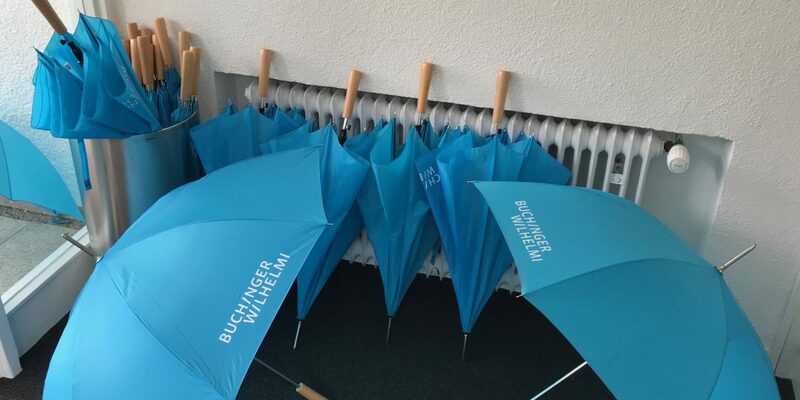 And, even for the daily activities, Buchinger Wilhelmi handles the weather well with umbrellas at the entrance of every building. Still, my wife and I agreed that if we ever came back, we’d schedule our trip two weeks earlier! Blood pressure: 137/80, 115/78 – Still oscillating a bit! Blood sugar: 106, 111 – Coming down!